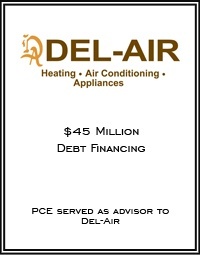 Founded in 1983, Del-Air has since become the largest residential heating and air conditioning company in Florida. Their commitment to providing exceptional customer service starts with having over 400 fully stocked trucks staffed with expertly trained, manufacturer certified technicians. They sell and service every major air conditioning brand at the best prices, delivered and installed on time. Del-Air currently operates throughout most of Florida with locations in Sanford, Kissimmee, Clermont, Melbourne, Tampa, Jacksonville, Fort Myers, and Bradenton.